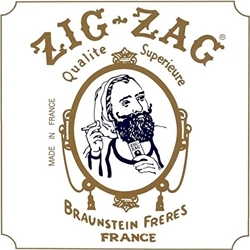 Zig-Zag Ultra-Thin Rolling Papers have been around for decades. Made from flax, these medium weight, 79mm length papers allows for a slightly wider and luxurious smoke. Each pack contains 32 leaves. Tobacco enthusiasts have grown to appreciate how good quality Zig-Zag Rolling Papers are. At Smokers Discounts we’ve made it easy and affordable to buy tobacco products online. Call us for more details!